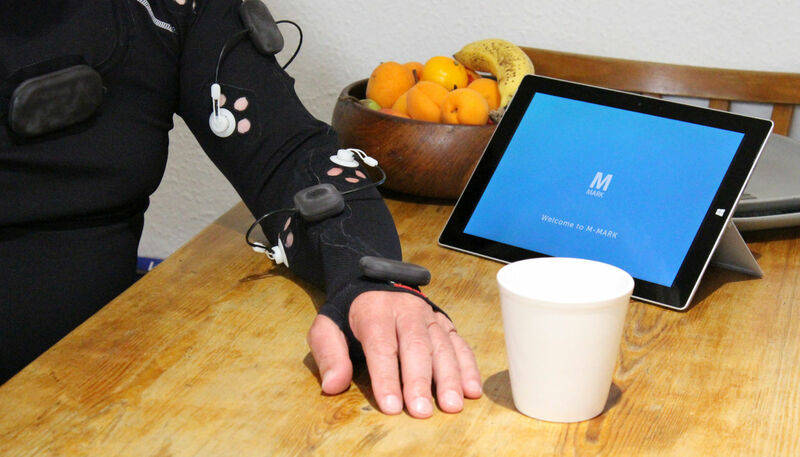 Maddison worked with researchers in the Department of Health Sciences at Southampton University to conceive M-MARK (Mechanical Muscle Activity with Real-time Kinematics), a system providing upper limb rehab to patients in their own homes. 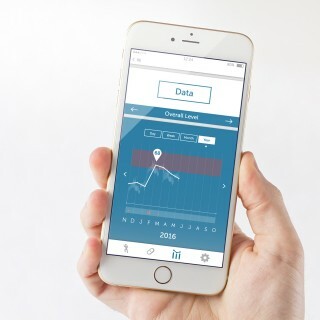 We supported a successful application to the National Institute for Health Research Invention for Innovation (NIHR i4i) Programme in collaboration with Imperial College, NHS Trusts and other SMEs. 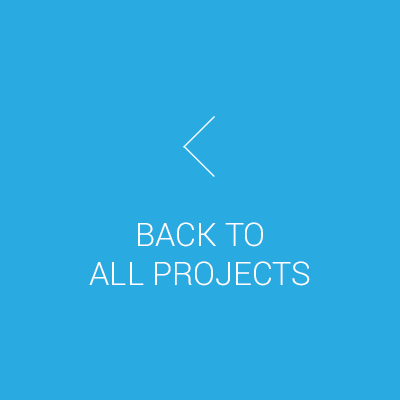 Maddison’s role was to lead the industrial, mechanical, Graphical User Interface (GUI) design and commercialisation aspects of the project. 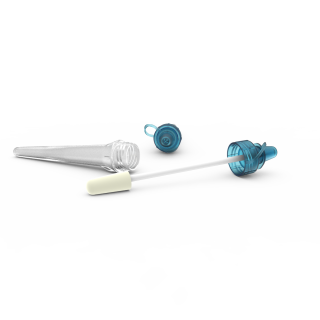 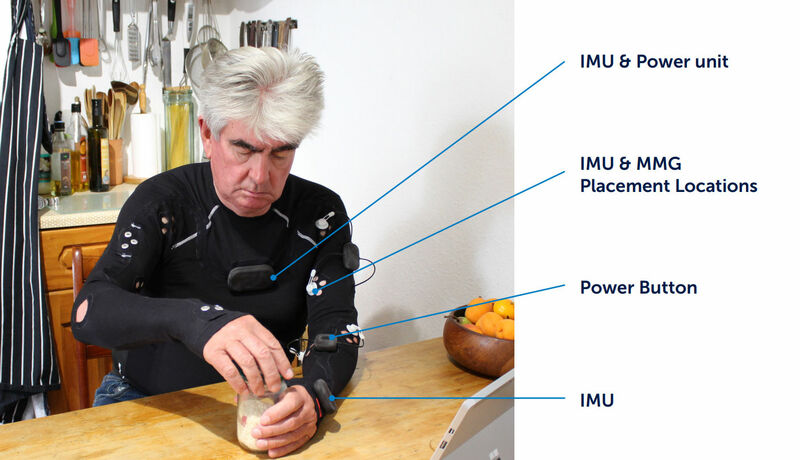 A single-patient multiple-use garment incorporating placement features for the modular sensors. 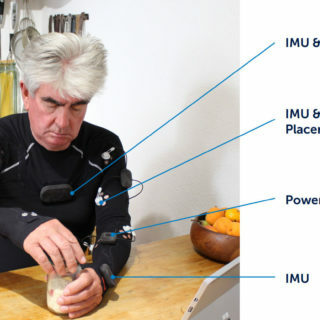 Reusable modules containing (IMU) movement and (MMG) muscle-activity sensors. 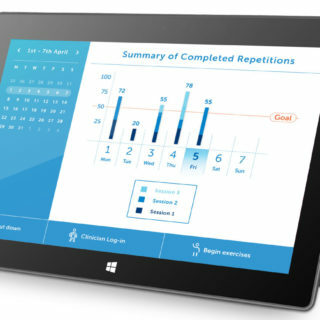 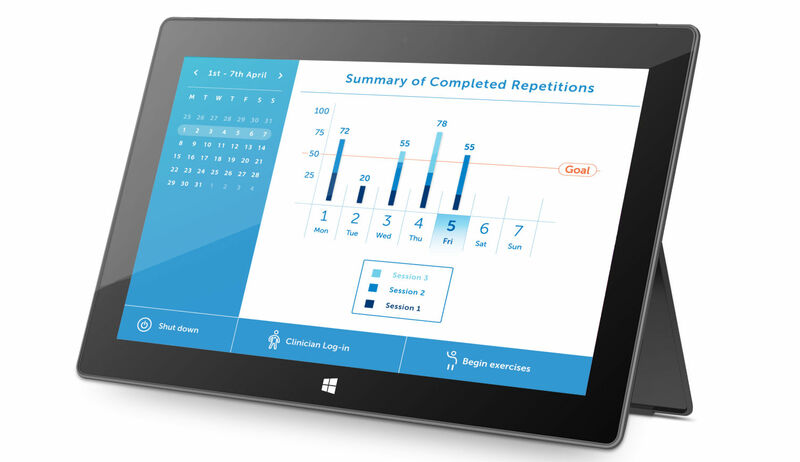 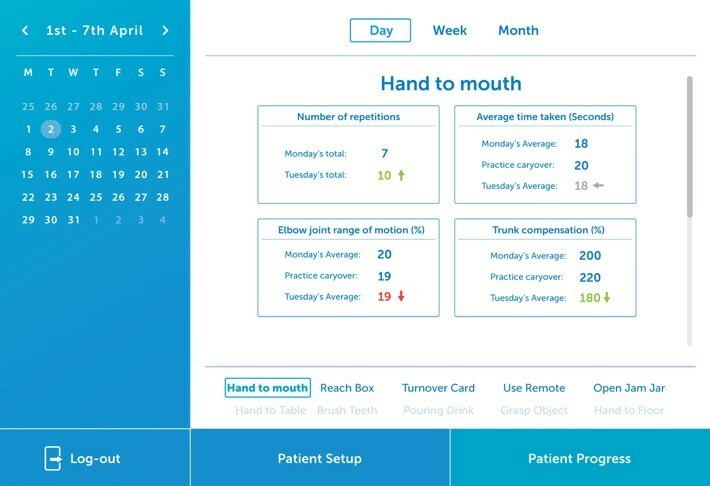 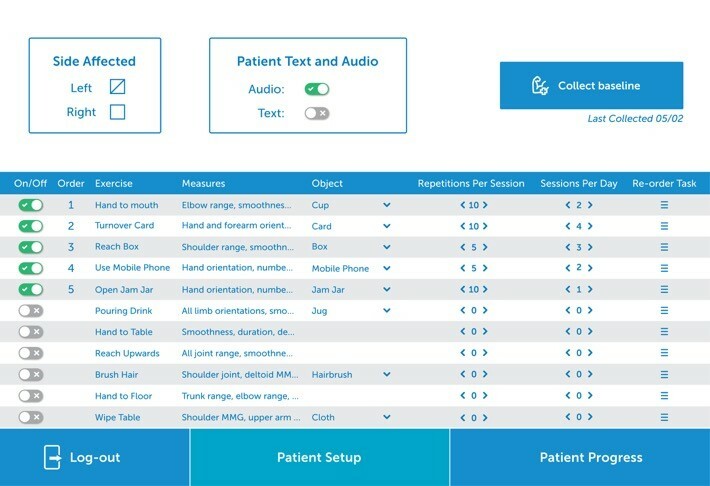 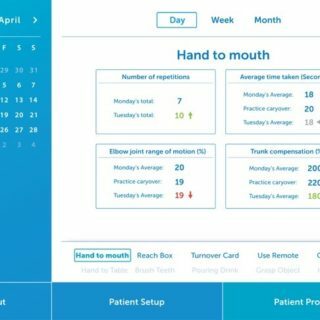 A graphical user interface (GUI) for patients and therapists running on a tablet. 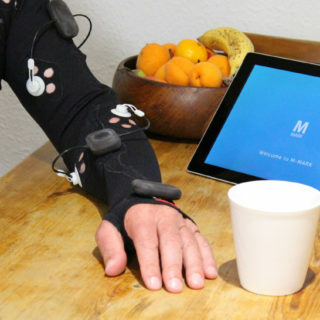 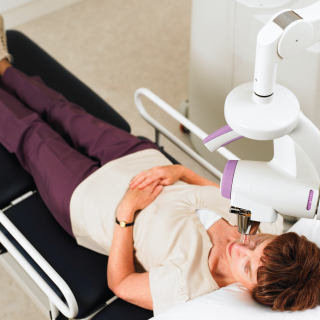 The therapist personalises the system for the patient by placing MMG sensors over muscles of interest and programming a suitable exercise regime. 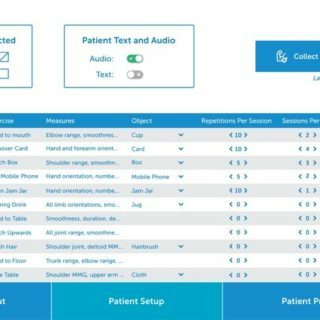 The patient can then use the device unsupervised in their own home by following their prescribed exercise programme (usually two exercise sessions a day). 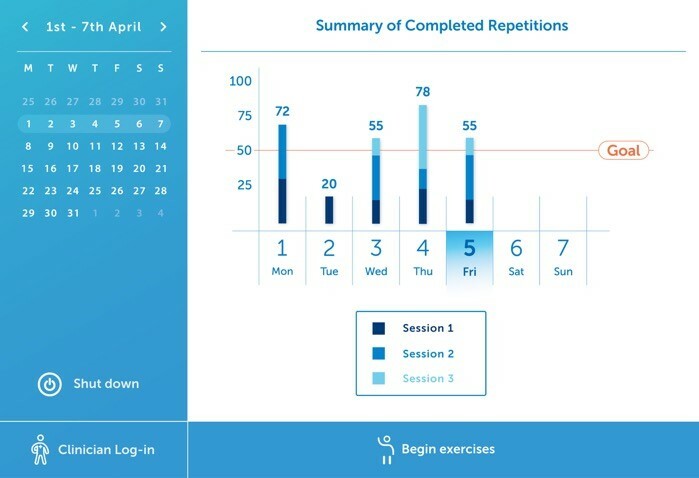 The modules and the laptop/tablet-based app will then interact to lead the patient through the exercise routine and give appropriate and motivating feedback based on their performance of the exercises and tasks. 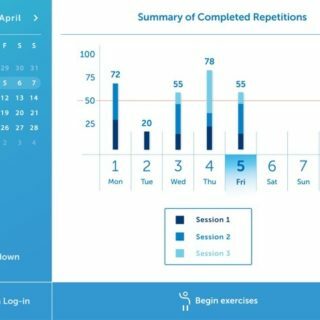 Therapists can later review the data to see compliance and performance.